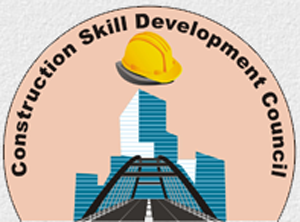 The Construction Skills Development Council of India (CSDCI) is a Not-for-Profit Organisation under the Indian Companies Act, 1956. The Council is registered under Section 25, sub section 1, clause (a) of the Companies Act, 1956. This Sector Skill Council has been constituted under the mandate of National Skill Development Corporation (NSDC) which is one of its own kind, Public Private Partnership organization in India to promotes skill development. 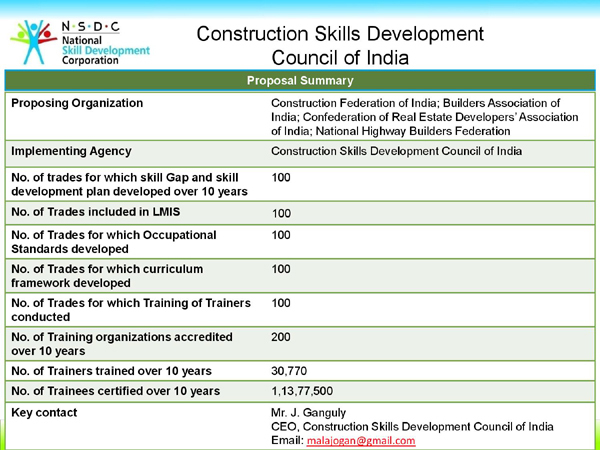 CSDCI aims to develop, establish, standardize and sustain Industry Competency Frameworks, Skills Levels, Occupational Standards, Build, create and deliver Capacity, Investment and Skilling outcomes which shall meet or exceed customer expectations through ethical, transparent and effective management of the Construction and Infrastructure Industry Skill Development Fund. To identify the skill development needs of the Sector, review international trends in Sector skill development and identify Sector skill gaps and technology.